The Tarbiyyat department here to make you spiritually fit.The Tarbiyyat department encourages Khuddam to increase their practice of Islamic etiquettes such as congregational salat, daily recitation of the Holy Qur’an, reading spiritually uplifting literature, and listening to Hazrat Khalifatul Masih V’s (aba) Friday Sermon. The Mohtamim works to circulate extracts of the Friday sermon and to implement lectures, study groups and other activities that promote moral training and spiritual growth. Qaid and I: Establishing and cultivating connections with every khadim in the USA. Working with tajneed department to get a list of all khuddam in the USA and between the Qaid and local amila meet each khuddam at their homes or neutral location and develop a bond. Document notes from meeting and find the needs and issues facing the khuddam so that a customized tarbiyyat plan can be implemented. Visit two majlis per region to conduct Tarbiyyat Camp on contemporary topics that are impacting the members. Salat attendance: Encourage all local Amila members read congregation prayers at the mosque or salat center at least 5 times a week; excluding juma prayer. The progress will be tracked throughout the year. Friday Sermon: Have khuddam listen to Huzoor (aba) Khutba by promoting the live links, summaries, and MKA podcast. 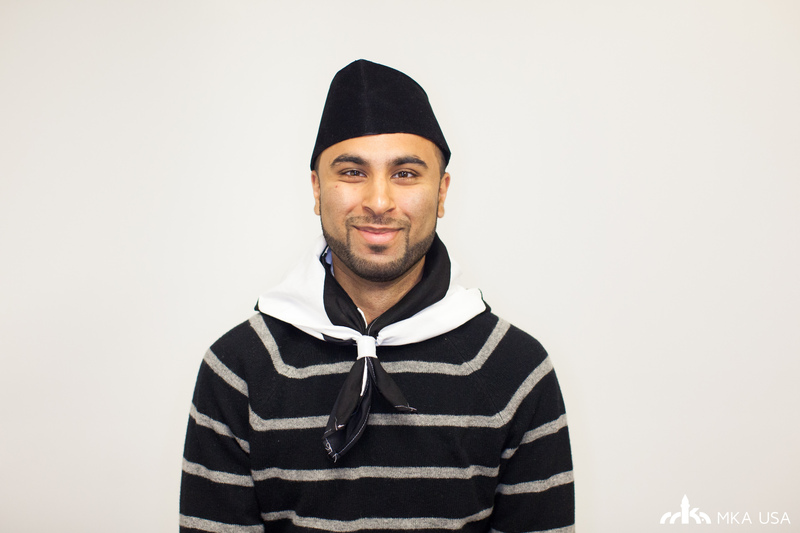 Goal is to increase the listenership to 50% of the khuddam and track it through a quarterly survey. Monthly Tarbiyyat Presentations: Goal is to have 75% of all majalis present and discuss the tarbiyyat presentation at the monthly general meeting.